I blogged about this a few years ago, but its something that still comes up on a regular basis. The blog link discusses the 6 main alignment algorithms in MacVector and how to decide which is the most appropriate for accomplishing different tasks. One common request we get is “I want to see my chromatograms/traces aligned so that I can edit the alignments”. For this, there are two main approaches. 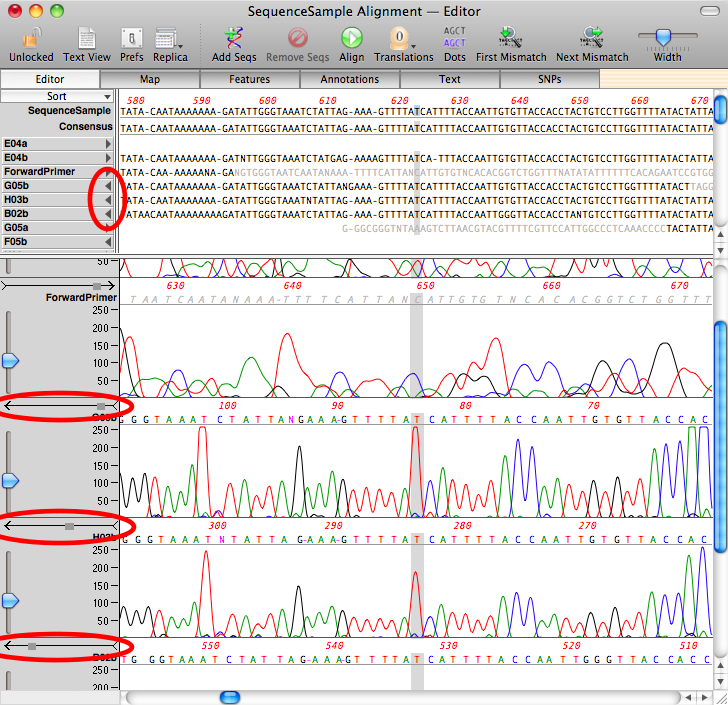 Note that you should NOT use the Multiple Sequence Alignment (ClustalW, Muscle or T-Coffee) interface unless you are truly looking for the evolutionary relationships between the sequences and know that they are already all in the correct orientation. None of these algorithms will “flip” the chromatograms when required, but the strategies described below will do that. Typically, if you are aligning chromatograms it is because you are re-sequencing something. Admittedly, that is not always the case – if you are trying to determine the sequence of an unknown piece of DNA, then you need to use the add-on Assembler module. I’m not going to discuss that here but there is a tutorial that you can download from this link. Choose cDNA Alignment only if you are expecting the presence of large gaps in the alignment. Typically, you would only use this algorithm for aligning cDNA sequences against a genomic sequence. Use Sequence Confirmation when you expect the chromatograms to fairly closely match the reference sequence, with perhaps just a few small deletions/insertions due to sequencing errors or clonal variation. For more information on the use of Align To Reference, check out our tutorial that you can download from this link. 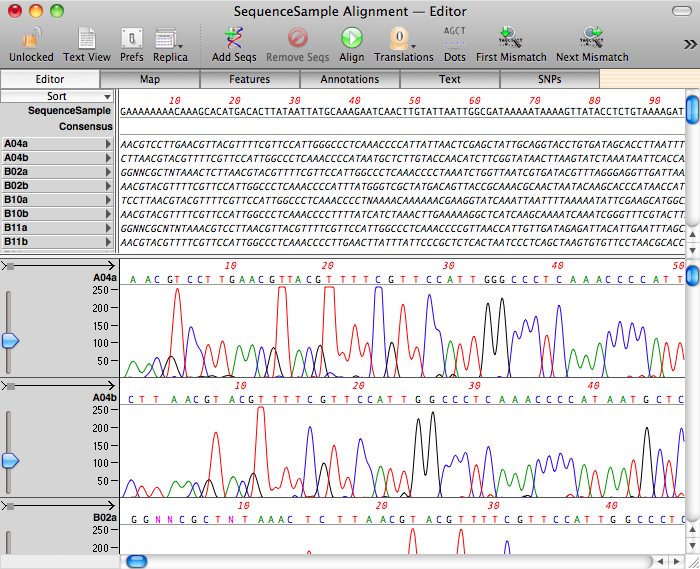 This entry was posted in 101 Tips and tagged assembler, sequencing. Bookmark the permalink. Both comments and trackbacks are currently closed.